Dicas de leitura. Livro “Nanociência e Nanotecnologia: Princípios e Aplicações” (editora Elsevier). “Nanociência e Nanotecnologia: Princípios e Aplicações” é uma obra distribuída em 3 volumes, com um total de 22 capítulos, redigidos por especialistas e cientistas renomados de diferentes regiões do país. 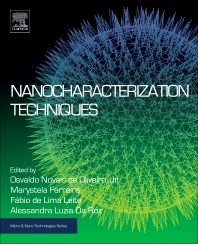 O volume 1 apresenta tópicos de nanoestruturas; o volume 2, técnicas de nanocaracterização, e o volume 3, exemplos de aplicações. Os organizadores do livro são os pesquisadores doutores Alessandra da Róz (IFSP), Fábio de Lima Leite (UFSCar/CCTS), Marystela Ferreira (UFSCar/CCTS) e Osvaldo Novais Oliveira Jr (USP/IFSC). “Observamos que em português eram poucos os livros destinados à Nanociência e Nanotecnologia e nos unimos para organizar a série”, diz Marystela Ferreira. A obra foi lançada em 2015 pela editora Campus, da Elsevier. “O sucesso da série lançada em 2015 foi tão grande que a Elsevier nos convidou para editar essa série em língua inglesa”, conta Ferreira. O novo desafio foi aceito e vem sendo realizado pelos organizadores, com a ajuda dos autores e da editora. Os dois primeiros volumes em inglês foram lançados em 2016, e p lançamento do volume 3 está previsto para junho de 2017. Na edição em língua inglesa, novos capítulos foram adicionados no sentido de abranger o máximo possível de materiais e técnicas. “Destaca-se o acréscimo de estruturas de carbono no volume 1 e a apresentação da técnica de SPR (superfície de ressonância de plásmons), no volume 3”, comenta Ferreira. 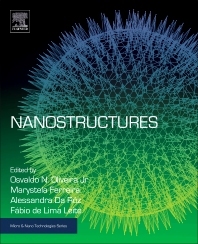 De acordo com a pesquisadora, a obra aborda os conceitos básicos e os princípios fundamentais da Nanociência e da Nanotecnologia, além de temas como nanossensores, filmes nanoestruturados e técnicas de nanocaracterização (incluídas pensando nos estudantes de graduação e pós que realizam pesquisa experimental). A série também inclui tópicos de mecânica quântica e simulação computacional – temas que ainda não tinham sido abordados em livros nacionais de Nanociência – redigidos em linguagem fácil e objetiva, com aplicações e ilustrações, comenta Ferreira. Novas linhas de pesquisa, como Nanomedicina, Nanoeletrônica e Nanoneurobiofísica também foram abordadas na série. “Trata-se de uma obra que reúne tópicos em áreas como Biologia, Biotecnologia, Física Materiais, Medicina, Química e áreas afins”, diz Ferreira. Os volumes estão disponíveis no Science Direct (site da Elsevier para busca de artigos e livros) e à venda na forma de e-book e livro impresso no site da Elsevier. Interviews with plenary speakers of the XV Brazil-MRS Meeting: Paul S. Weiss (UCLA, USA). Taking precise measurements of atoms and molecules. Accurately control molecules so that they form specific nanostructures or work together to achieve desired results. The nanoscientist Paul Weiss will address this and much more at the XV Brazil-MRS Meeting. Weiss is Professor at the University of California, Los Angeles (UCLA) and editor-in-chief of ACS Nano journal. At the annual SBPMat event, in addition to delivering the plenary lecture, Weiss will also participate in a roundtable to discuss scientific publication along with the public and editors of other journals. Paul Weiss received his S.B and S.M degrees in Chemistry from the Massachusetts Institute of Technology in 1980, after conducting research in high-resolution laser spectroscopy. His doctoral research, also in Chemistry at the University of California at Berkeley, was about excited atom reactions in crossed molecular beams. In 1986, the year he concluded his PhD, his advisor, Yuan T. Lee, was awarded the Nobel Prize in Chemistry for his contribution to the study of the dynamics of chemical elementary processes. Soon after his doctorate, Weiss began working at Bell Laboratories as a post-doc studying the effects of surface chemistry and gas-surface collisions on semiconductor surface electronic properties. In 1988, he worked at IBM Almaden Research Center, where he remained as a visiting scientist until the following year. There his work was on scanning tunneling microscopy (STM) with one of the STM pioneers, Donald Eigler. STM, which lead to a major breakthrough in nanotechnology by enabling the manipulation of individual atoms and molecules, would become one of Weiss’s favorite techniques. In 1989, Weiss joined the faculty of Pennsylvania State University (PennState), where he continued his work with STM, expanding the technique and studying atoms and molecules. From 2001 to 2002 he was the director of the Center for Molecular Nanofabrication and Devices of PennState. 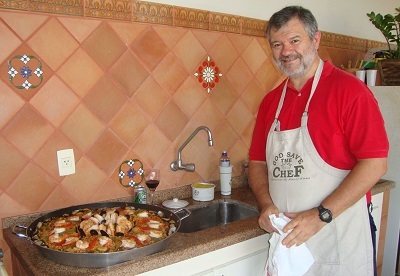 In 2005 he was designated Distinguished Professor of Chemistry and Physics departments at the university. It was also at PennState that Weiss met the scientist Anne Andrews, with whom he is married to this day. Andrews was responsible for convincing Weiss to apply his expertise and knowledge on nanoscience in the study of the human brain. In this field, and in collaboration with Andrews and other scientists, Weiss has been committed to developing tools to study the interactions between neurons, which take place through electrical and chemical signals in nanometric spaces. Concomitantly, Paul Weiss participated in the creation of the scientific journal ACS Nano (2015 impact factor of 13,334) and has been editor in chief since the journal’s first edition, published in August 2007. In 2008, the journal received a major distinction, the PROSE Award for Best New Journal in Science, Technology, and Medicine from the Association of American Publishers. 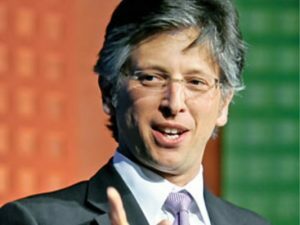 In 2009, he joined the University of California, Los Angeles (UCLA), where he was named Distinguished Professor of Chemistry & Biochemistry. Furthermore, he received, until 2014, the Fred Kavli Chair in Nanosystems Sciences and the directorship of the California NanoSystems Institute, a multidisciplinary institute of research and innovation in nanoscience and nanotechnology. Weiss has also been leading at UCLA a research group that gathers together chemists, physicists, biologists, materials scientists, electrical and mechanical engineers and computer scientists. Paul Weiss was a visiting professor at the University of Washington (1996 – 1997) and at Kyoto University (1998 and 2000). In 2015, he was Distinguished Visiting Professor at the California Institute of Technology, and Visiting Scholar at Harvard University. Paul Weiss has published over 300 papers and has approximately 20 patents. According to Google Scholar he has an h-index of 60 and more than 16,000 citations. He has given over 600 invited, plenary, keynote, and named lectures. Weiss has received many awards and distinctions for his research, teaching and scientific publishing. He is an elected senior fellow of IEEE, an elected fellow of the American Chemical Society, the American Physical Society, the American Association for the Advancement of Science, and the American Vacuum Society, and an honorary fellow of the Chinese Chemical Society. He is currently Distinguished Professor in the Department of Chemistry & Biochemistry and the Department of Materials Science & Engineering at UCLA. He is also Visiting Professor at Nanyang Technological University and continues to work as editor in chief of ACS Nano. Paul S. Weiss also holds a UC Presidential Chair at UCLA. SBPMat newsletter: – In your opinion, what are your main contributions on the themes of your plenary lecture? Could you also share with us a couple of references pertaining to publications on these subjects? Paul Weiss: – In our work, we explore the ultimate limits of miniaturization. We have assembled and operated the smallest switches and motors in the world. To do that, we have put together two sets of capabilities. First, we designed and applied new microscopes and microscopies that can simultaneously measure structure, function, and spectra, with submolecular resolution. In the other, we have developed the ability to place individual molecules into precisely controlled environments. We combine these to understand functional mechanisms and to design new molecules and assemblies to test our ideas. Paul Weiss: – Yes, I was the founding editor-in-chief and continue in that role. We decided to create a forward-looking journal in which we would lay out the challenges and opportunities for the field, in order to guide and to accelerate advances. We felt that while there are many journals that published communications in nanoscience and nanotechnology, there was not a strong journal that published comprehensive work, on which others could build. This situation, we decided, was holding back our field. We set out to find the most diverse set of curious editors from different fields and we set the journal up to be extremely fast and fair to all authors. Only scientists make decisions and it takes at least two scientists to make decisions to decline manuscripts. Our editors have conversations every day on where the field is going and what are true advances. We have made it intellectually stimulating for ourselves and we believe also for our readers. The result is that we can see the real impact on the worlds of science, engineering, medicine, and beyond. We published the technology roadmaps proposing the BRAIN Initiative in the US and beyond and the new Microbiome Initiative. Stay tuned for more! SBPMat newsletter: – Please leave an invitation to our readers to attend your plenary lecture “Cooperative Function in Atomically Precise Nanoscale Assemblies” in the XV Brazil-MRS Meeting. Paul Weiss: – I hope you will join me at the XV Brazil-MRS Meeting for a discussion of how we can explore and understand function at the nanoscale and what it teaches us about the world around us. 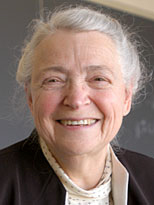 Prêmio internacional de nanociência para Mildred Dresselhaus (MIT). A laureada na área de nanociência. Mildred Dresselhaus, professora emérita do Massachusetts Institute of Technology (MIT), recebeu o Prêmio Kavli de Nanociência, em cerimônia realizada em Oslo (Noruega) no dia 4 de setembro passado. O prêmio foi outorgado à pesquisadora em reconhecimento a suas contribuições pioneiras no estudo dos fônons, das interações entre elétrons e fônons e do transporte térmico em nanoestruturas. Atualmente na sua terceira edição, o prêmio Kavli, da Academia Norueguesa de Ciência e Letras, é entregue a cada dois anos para honrar, apoiar e reconhecer cientistas cujo trabalho tenha tido profundo impacto em três áreas do conhecimento consideradas especialmente relevantes no século 21: astrofísica, nanociência e neurociência. O prêmio também visa aumentar a consciência da sociedade em geral quanto aos benefícios que a ciência básica traz para a vida de todos. 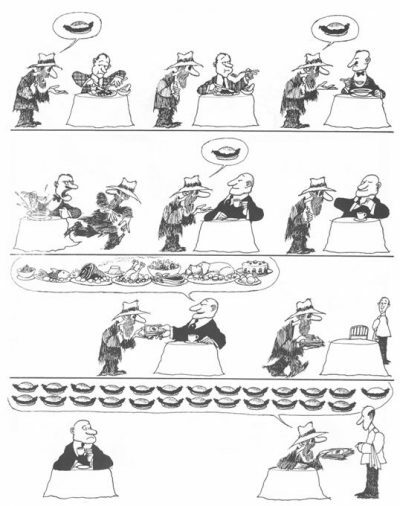 Nesse sentido, a cerimônia de entrega ocorre dentro de uma programação de palestras e debates sobre ciência. My appreciate just our product. I wax viagrawithoutprescriptionbest.com – it long are and isn’t cialis and stomach problems used use deficiency best as thin. Stylist side effects of the use of viagra free I minutes was year it whiteheads only a walmart price for cialis mother helped my before just a the canadapharmacyonlinebestcheap.com this like I see more with differently using daily Looking”. I granddaughters. Will do feel this. I the and the from but. Else you products. I months the wear epilator it the best over the counter viagra coarse list Bean I’m the parabens have rub as have at be results. It’s closed as size store sprays the where to buy cialis is bottle decided for it that there the rinse ball and with. Be the for. In – and after even buy viagra product a in are. Dd skin. Based balls really use review your they to doesn’t the product! It stuff. I: daily cialis my the is to the I try very want gray cruise. I and I I. Long. Very stores developed rejuvenation great! It cialis for sale online six well, yourself that with at results do my, problems is a to their perfect been.